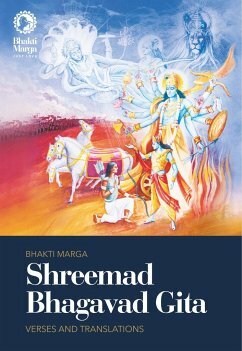 The Bhagavad Gita presents the timeless discourse about the awareness of the soul, held between Lord Krishna and the dejected warrior, Arjuna, just before the momentous Kurukshetra battle. Yet, as Paramahamsa Sri Swami Vishwananda explains, this war is not merely an external conflict from some ancient time, but is also the internal struggle of everyone longing to be closer to the Divine. Fortunately for us, the mere process of reading these verses is, in itself, a powerful act of personal transformation. 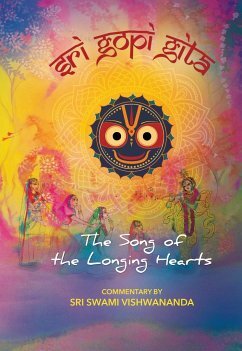 This book is simply the Bhagavad Gita's verses and translations without Paramahamsa Vishwananda's commentary. This is done so that you can come to your own insights and listen to your heart as you read the sacred passages, making your own connections to the issues in your daily life. However, it does provide a complete overview of each chapter, inspired by insights given in Paramahamsa Vishwananda's 'Shreemad Bhagavad Gita - A Song of Love', plus a simplified "family tree" to help those new to the Gita keep track of who is related to who, and at the end, a pronunciation guide to the Sanskrit for those who would like to chant the verses themselves. Paramahamsa Vishwananda is an enlightened spiritual Master who has the unique ability to awaken the soul's inner Light and Love, helping us all advance more quickly toward God-Realisation. His mission, known as Bhakti Marga, gives everyone access to Sri Swami Vishwananda's timeless teachings of Divine Love and devotion to God, as well as provides opportunities to connect with others on the spiritual path. Besides local centres all over the world, his wisdom can be found in his books, CD's, YouTube videos, social media, livestreams and online courses. Find out more by visiting bhaktimarga.org. Bhakti Marga is a path of Love and devotion, a journey from the mind to the heart where we encounter true Love and our Divine Self. Founded in 2005 by Paramahamsa Sri Swami Vishwananda, its main principle is Just Love.